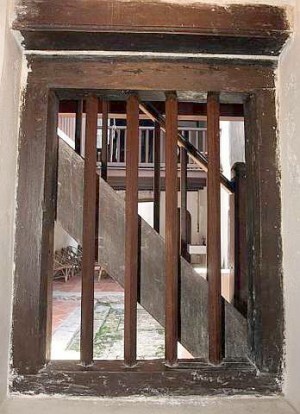 A restored 18th century shophouse in Malacca illustrates a successful model for conservation and adaptive re-use. Sandwiched between 19th century Peranakan townhouses that are grander and more ostentatious, No 8 Heeren Street Heritage Centre is easy to miss. Colin Goh, No 8 manager. Many visitors to Malacca, including yours truly, would have sauntered past its narrow and unassuming facade, oblivious of its significance in Malacca’s chequered past. But built in the mid-late 1700s during the Dutch colonialists, No 8 is the earliest example of the shophouses and modest residential structures erected in the bustling port city between the mid-1600s and late 1800s. “No 8 epitomises the humble dwelling of the common local or foreign traders of that era and resonates with the social, cultural and historical fabric of Malaccan community,” says Colin Goh, the amicable manager who took us on a tour of the house on Jalan Tun Tan Cheng Lock, formerly Heeren Street. This type of building has assumed many roles in its time, from stable, shop and residence to storehouse and dormitory for labourers working in the port. “Sadly, due to the urban renewal that came with the introduction of rubber, and the need to show a new and modern ‘Malacca face’, there aren’t many such shop-houses left today,” Goh points out. 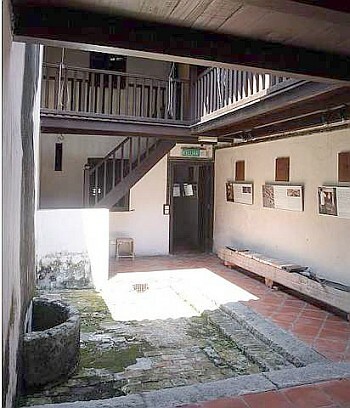 Today, the house serves as a base for heritage tours, a venue for exhibitions, workshops and corporate events, as well as an advisory centre on Malacca’s heritage environment and the conservation techniques for this building type. A Badan Warisan Malaysia (Heritage of Malaysia Trust) model conservation project, No 8 is owned by the Cheng Hoon Teng Temple Trust. When Badan started the facelift in 2001, the building was crumbling and had been left vacant for years. “The initial challenge was getting information on the history of the building, its ownerships, use, etc,” says Elizabeth Cardosa, executive director of Badan. Wall bricks, the floor in the courtyard and the well are original features dating back 200 years. But the restoration team managed to cobble together some information from oral history. Building materials were sent for testing, for example, timber samples were sent to Forest Research Institute Malaysia for species identification so that the team could decide on the type of timber to use for restoration. “We sent lime mortar samples to the Scottish Lime Centre to get a profile of the material for our records and to make further restoration decisions,” says Cardosa. Materials from the site, like roof tiles and timber, were salvaged and recycled. The original walls were intact and so only needed some re-plastering job. “All materials were sourced in Malacca — and while not all were originally from Malacca; for example, the terracotta floor tiles from Vietnam — we were able to find them from a supplier in Malacca,” she adds. The team settled on exposed wiring for the electricity to avoid unnecessary hacking and damage to the walls. In the past, the front of No 8 served as a shop, while the back and the second floor were living areas. “Most contractors who have no conservation experience, or those who have no interest or sensitivity regarding restoration, will find it ‘easier’ to just hack away the old, and replace it with modern materials,” Cardosa explains. The project was partly financed by the US Cultural Ambassador’s Fund, with the team of architects, engineers and Badan members chipping in with their time, expertise and travel costs. Restoration work was completed after 2½ years. “The final big challenge was to promote the interpretation of this site as a model project of a modest Dutch-styled shophouse — many people did not see the heritage value of such a modest building,” adds Cardosa. No 8 reflects how the city’s streetscape evolved from the earlier timber-and-thatch structures to brick-and-clay-roof-tile buildings. It was built on a long and narrow lot, extending back 20-30m between parallel walls. 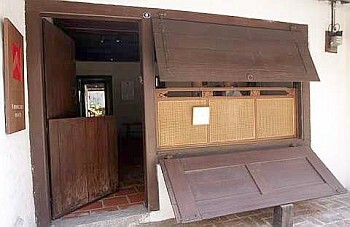 A door and a large shop-front wooden window with woven screen commonly used for privacy, and overhanging tiled roof make up the facade of the building. Interestingly, like Kyoto’s traditional machiya (merchant houses) where property tax was based on the width of the building’s street-frontage, Malaccan houses built during the Dutch era were also narrow because of taxation. An open courtyard in the middle of the house allows light and natural ventilation. The form and materials used are also an indication of the strict and detailed building and planning regulations during the Dutch rule. A window looking out to the courtyard. During our visit, despite the sweltering and muggy conditions on the streets, the interior of the house stayed cool and comfortable. “Walls and the internal courtyard of the air well were built with local clay bricks that were manufactured in Malacca and fashioned in the Dutch style,” explains Goh, who pointed out the house’s standout features. Lime-based plaster and lime-based paint made from local corals covered the walls. The air well is inspired by Chinese architecture and a well is shared with the neighbouring house. Since restoration work completed eight years, No 8 has undergone the usual wear and tear. The plasterwork on the walls is affected by salt precipitation and flaking, and so requires constant cleaning. A pest control company has to be called in to monitor termite activity on the wooden floors and beams. 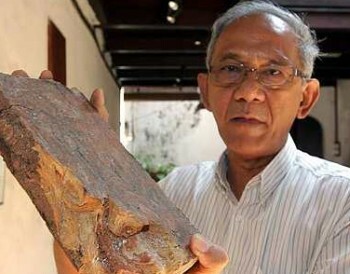 “The roof tiles have begun to shift due to ground vibration whenever a bus or a heavy-duty vehicle drives past; during the rainy season, we get some leaks,” admits Goh. But overall, No. 8 seems to be in good hands. Goh’s enthusiasm is infectious and his knowledge, sound. Also, it’s rare to find such archaic structures in Malacca or Malaysia these days, especially one that has been painstakingly restored and which stays true to its original characteristics. If you’re ever in the neighbourhood, be sure to drop by No 8. Centre is open seven days a week, 11am-4pm. Admission is free. For enquiries, call (06) 281 1507.